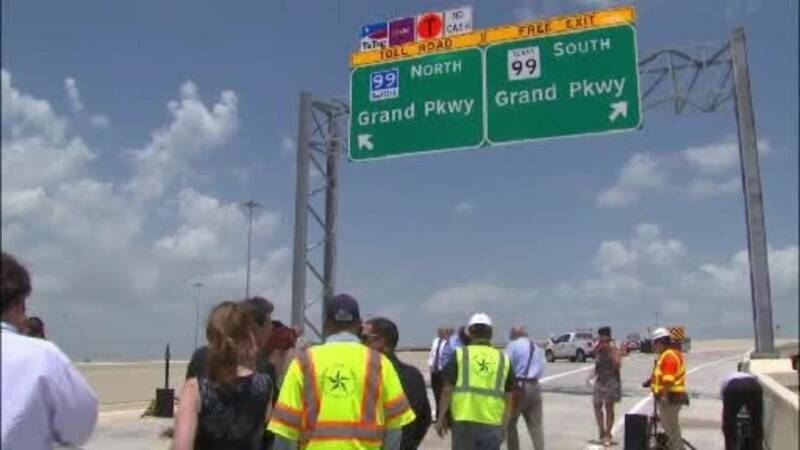 HOUSTON - Two more direct connectors at the Katy Freeway and the 99 Grand Parkway interchange are now open. Harris County leaders and TxDOT officials cut the ribbon on the Katy Freeway westbound interchange on Monday. These two connectors were among four direct connectors for the I-10/SH 99 interchange which began construction in 2012. The project is supposed to help with mobility and accessibility in the greater west Houston area. The fourth and final connector ramp is expected to be complete in just a few weeks. The $31.2 million contract was awarded to Lone Star Road Construction by the Texas Transportation Commission.